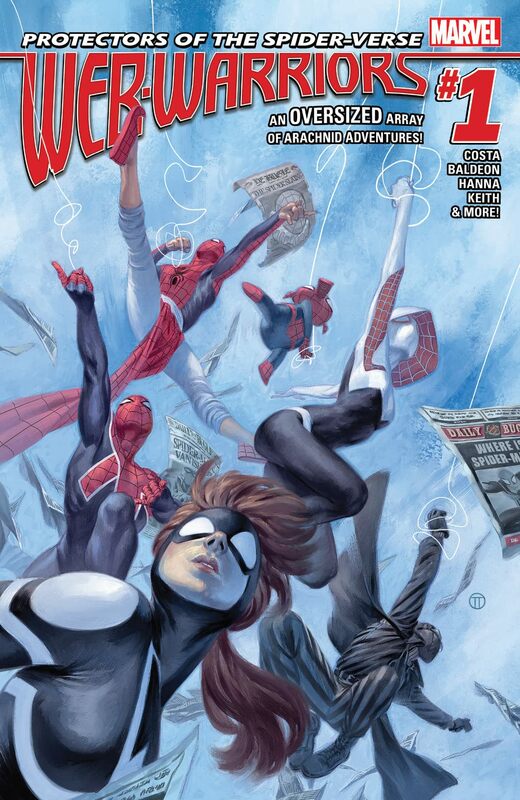 All of your favorite web-slinging wonders from Spider-Verse, together in one place! 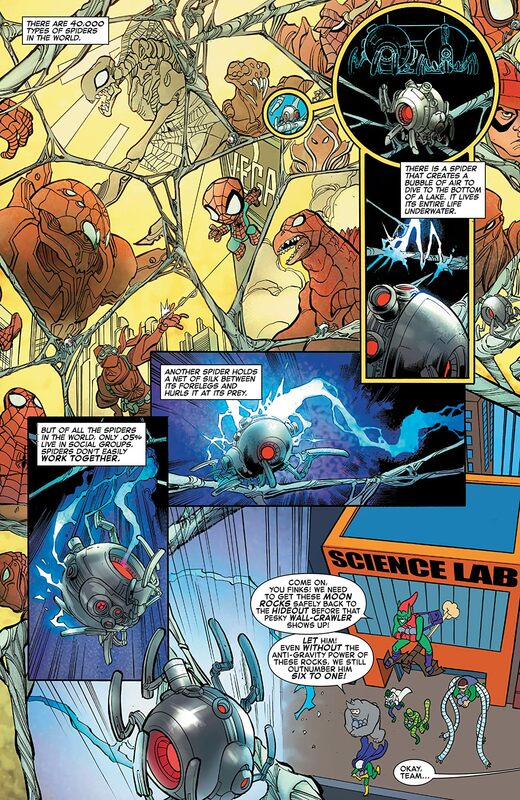 It's high-stakes action when Electro threatens all of reality! 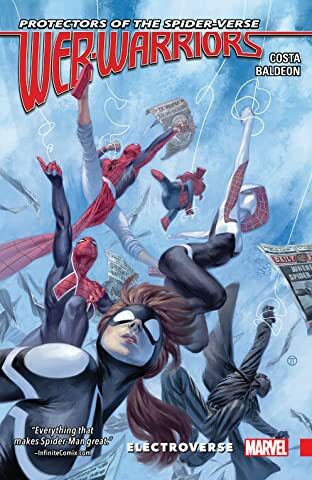 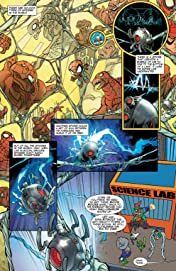 From their base on Earth-001, it's up to Spider-Gwen, Spider-Man Noir, Spider-Man India, Spider-Uk, Spider-Ham and a ton of other surprise spider-guest-stars to stop him!